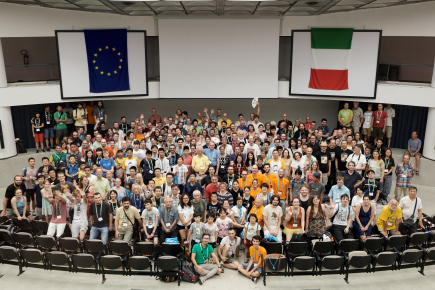 With 1200 showing up, EGC 2018 in Pisa was the largest European Go Congress ever. 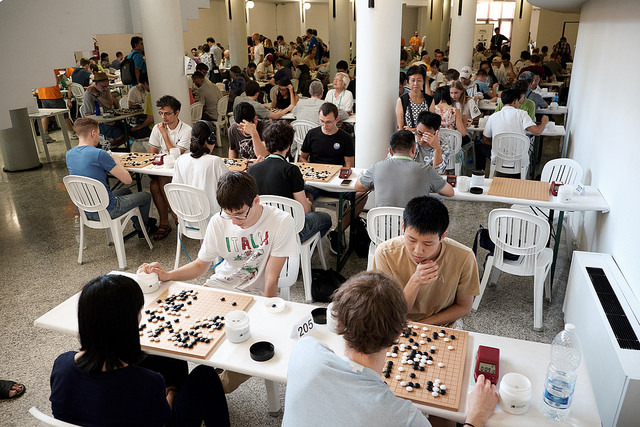 EGC, the main European go event, is sponsored by EGF, the European Go Federation; it is organised yearly since 1957 by one of its (currently 37) member countries. During the two weeks of EGC, go players from all over the world gather together to play in tournaments, but also to meet other players, attend lessons and commentaries or play simultaneous games with professionals. This is a big social event, where people can have a good time with free playing, getting to know new fellow players and profiting from the trip to have a look at the local touristic attractions. 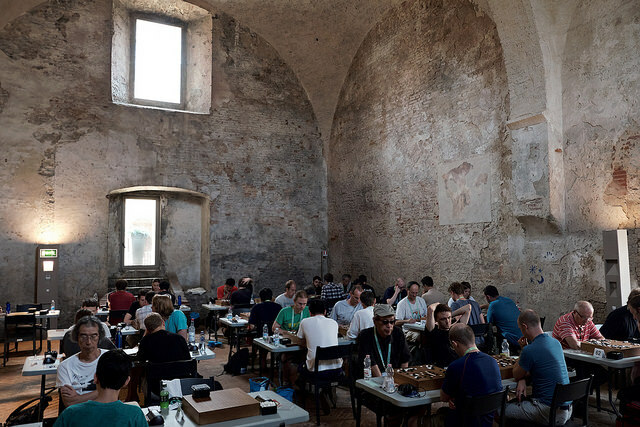 EGC hosts the European Go Championship, where the strongest European go players dispute the European Champion title. This is one of the main amateur tournaments worldwide, second only to the World Amateur Go Championship organised by the International Go Federation. While the European Go Championship is the flagship of EGC, for most attendees EGC is the occasion they wait all year long to participate in one of the many tournaments open to go players of any nationality and strength, from beginner to professional. In 2018, we passed the mark of 1000 playing in tournaments, the main one being the Open European Championship, lasting two weeks for a total of 10 games. Other important tournaments are the Weekend Tournament, lasting two days for a total of 5 games and the Rapid Tournament, lasting for two weeks for a total of 8 games. Players in the main EGC tournament, data from EGF until 1996 and from EGD afterwards. Attendees by role. Players are classified by subscription fee. The first European Go Congress was held in 1957 in Cuxhaven, Germany. Since then, the number of players participating in the main tournament has shown a growing trend. 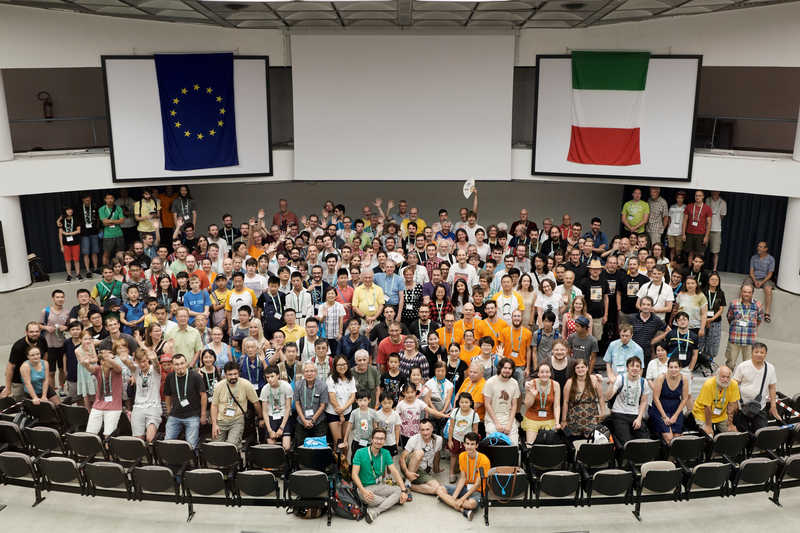 EGC 2018 in Pisa was an all-time high, with 1176 people showing up at the desk and getting an official badge out of 1476 registering to the web site. 1021 players participated in at least one of the official tournaments, 899 of them in the open tournament. 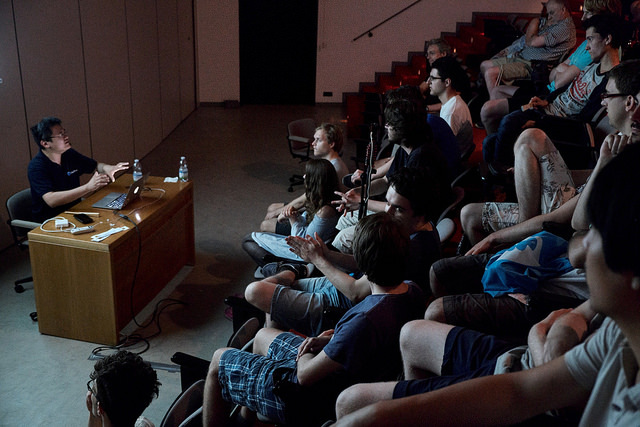 We estimate that a total of about 1200 people attended the congress for at least one day. Subscription fees depended on attendance days and age, with 10% of children players, who did not pay, and 10% of junior players, who paid a reduced fee. As it is usual for EGC, attendance was higher in the first days, with about 1000 attendees during the first week, about 850 of them playing. Age of attendees was between 6 and 85, with a median age probably in the low thirties. We had people of 48 different nationalities registering to the web site, about one third from outside Europe, with Germany first and China a close second. Number of playing and non-playing attendees during the congress. Web registrations classified by country. About 80% showed up at the congress. We hosted 27 tournaments and we awarded over 36 k€ in money prizes, most of which from our sponsors Pandanet, Deep Mind, EGF; and over 13 k€ in benefit prizes, most of which from our sponsors Guo Juan and Schaak en Go het Paard. We welcomed 20 professional players from China, Korea and Japan who provided about 400 hours of teaching by playing simultaneous games, commenting official games and holding lectures. 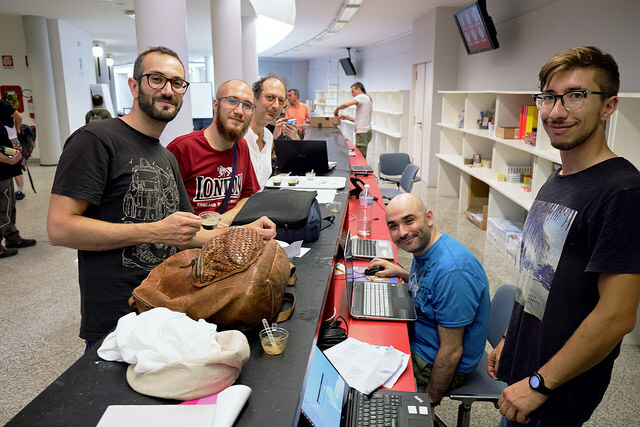 The congress work force was composed of 65 organisers, referees and volunteers, one third from Pisa, one third from the rest of Italy, one third from the rest of Europe. EGC 2018 record attendance was probably due to three main reasons: the general EGC size growing trend, Pisa touristic attractiveness and opening subscriptions two years in advance. Pisa application for EGC 2018 was accepted by EGF in December 2015, so we had two years and a half to prepare ourselves. By August 2016 we had got a promotional video, a web site, an info email address and a boot at EGC 2016 in St. Petersburg where we gathered our first subscriptions at a bargain price of 80 € for full attendance or 50 € for one week plus weekend. Opening subscriptions two years in advance allowed ample time for people to subscribe and gave us enough budget for all our needs. In fact, we only needed to anticipate money for the venue advance payment, and we were able to repay it in two month's time, back from St. Petersburg. From then on, we could rely on a constant flow of income, thanks to the scheduled subscription fee growth. Starting more than two years in advance was crucial to the success of EGC 2018: Italy is a small country from a go perspective, with less than 200 subscribing to FIGG, the Italian go association, so the available workforce pool was very small. We compensated for this by issuing an international call for volunteers, where we offered graded expense reimbursements in exchange for a clearly defined work commitment. The result was a small but dedicated workforce of volunteers. Maurizio Parton at the VIP dinner. Most of the preparatory work was done by three of us, who provided a set of complementary skills. While I managed treasure, contracts, IT and general planning and Carlo Metta managed email, subscriptions and tournaments, Maurizio Parton kept contacts with EGF and sponsors, and managed pro invitations. For most of the two years preceding the congress, I spent one or two hours a day of my free time, plus the occasional meetings we had with other volunteers. Being the three of us all from Pisa was an enormous advantage. 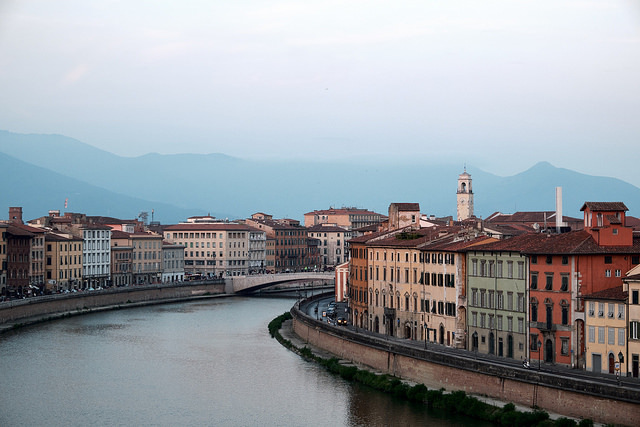 Not only we could meet easily at home if necessary, but we regularly met at the club on Monday evenings for chatting, beer and go, and for keeping contacts with other volunteers from Pisa. All of us have a flexible job, allowing to manage ourselves both short- and long-term commitments, so we could make our plans to have a low workload during the three months preceding the congress. Even with that, since January all of my free time was absorbed by the congress organisation, and from May on my life consisted exclusively of working for my job at a very reduced pace, and working for the congress for the rest of the day. In July I took vacation from job and was completely absorbed by EGC for one month and a half, until the end of the congress. I had to upgrade my phone plan because 400 minutes per month of phone calls had begun largely insufficient. 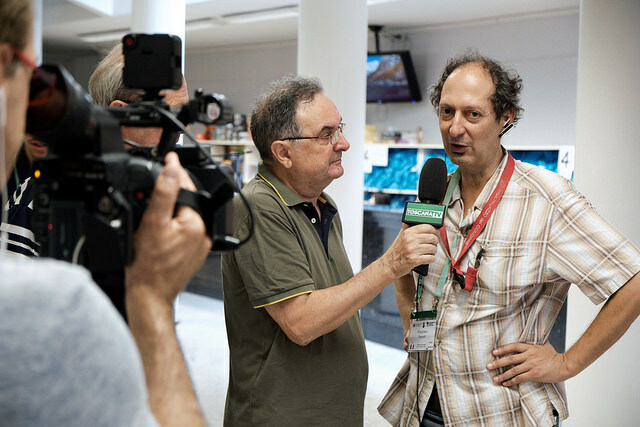 In mid-July we could count on a fourth full-time organiser, Michele Piccinno, who took care of logistics and volunteers. The congress itself was incredibly exciting. Wednesday and Thursday, the setup days, are somewhat foggy in my memories, new problems emerging every minute and new solutions to be found quickly, going around the place to check and take measurements, continuously making and receiving calls on the phone, speaking to people face-to-face and by walkie-talkie (often at the same time) to organise things, rechecking money to account for unanticipated expenses, without literally any time to do anything else, including eating and drinking. Manja Marz was a great help during this phase, because even if we had set everything up in advance with great care and even if our forecasts were almost all correct, her experience and global overview spared us some errors and provided us with a much needed confidence boost. On Friday morning we realised that what we had set up was holding together. The Pandanet tournament had begun, people started coming, the desk received the first subscriptions, volunteers were in place to welcome attendees and professionals. In spite of a city-wide stop-and-go power outage lasting over one hour, which managed to cause problems to PCs and air conditioning as well, we matched the expected 150 subscriptions. Playing at the Congress Palace. For the next day I had set up eight desk operators to bear the expected flow of 850 more, mostly in the late afternoon. I was surprised to see that we managed to withstand the blow without a glitch, with about 500 hundred subscribed in less than three hours without ever a queue forming at the desk! In the meantime, Michele had cared about materials and volunteer scheduling, Maurizio was managing the opening ceremony and the important guests, and Carlo had set up the referee workforce and was preparing the pairing for the main tournament, with the invaluable help of Pascal Müller. On Saturday evening, after the opening ceremony, we had gone through our baptism of fire unscathed! Volunteers were the backbone of this success: they were prepared, dedicated and willing to participate in this great adventure. And most did more than they were committed to, as soon as the need arose, which happened frequently. The only remaining unexplored part would start on Sunday, the first day of the main tournament, with 800 expected players, and the possibility of getting more and having to reorganise table placement. But our forecasts once again were correct, and we had 379 pairings in the first round, with 356 boards used in the end. In the next four playing days, the number of pairings was stable between 384 and 386, a new record for EGC. The rest of the first week was wearing, but reasonably smooth: we had seen everything that was there to see and we were able to manage contingencies. We had only four emergency situations with the need of a doctor, but living in a small town has its advantages, with hospital, airport and centre-city hotels at a few minute's distance. Hayashi Sensei holding a lecture. Fan Hui holding a lecture. After the week end we were exhausted, but happy: the second week was going to be a lighter replica of the first one, and we could see the end of the tunnel. We kept receiving satisfied comments from most guests, which helped us a lot. But relaxing was completely out of scope. My work at the desk and managing relations with the venue management (restaurant, bar, media manager) was starting to level out, Carlo's work as tournament director was beginning to approach routine, Michele had set a good control on volunteers scheduling and Maurizio had established regular contacts with all relevant guests. But exhaustion was looming, and things would easily break apart as soon soon as we loosened the grip. One evening, some of us had the bad idea to relax for an hour and go for a pizza, completely forgetting that the others were still working to setting up the boards for the next day. Were it not for our complete confidence in each other's commitment we would have risked a quarrel. All in all, apart from two or three days where I took one hour off, I was at the venue at 8 o'clock in the morning and left it around midnight, during which I hardly had a break, not even for eating. This feat was the most exhausting period that I have ever endured in my life. But it was worth it. The congress was wonderful: so many people walking around, chatting, or sitting concentrated for hours during the tournament, the lectures, the food under the tent, the evening beers made this an unforgettable experience and a great satisfaction for setting up such a successful event. Thanks to all who made this possible, primarily the players who have attended, and good luck to next year's organisers.